Welcome New and Existing Customers! West Metro Lawn Care & Snow Removal, LLC is dedicated to providing our clients with professional and dependable services for every season of the year! Because we are locally owned and operated, clients work directly with the owner to custom create a plan that is right for you and your property. Whether you are interested in lawn care, snow removal, or fall/spring clean up, West Metro is here to serve you. ​Existing Customers: If at any time you have questions regarding your contract or you have a special request regarding your property, please do not hesitate to call or email. West Metro is here for our customers 24/7. West Metro appreciates feedback- both positive and negative. Our aim is to keep our customers 100% satisfied. Thank you again for choosing West Metro Lawn Care & Snow Removal, LLC. 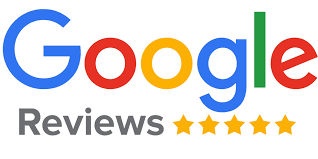 Click the Button below to read or write a review on Google ! Chris Halvorson was raised in Sleepy Eye, Minnesota and graduated from St. Cloud State University's Business College with a Bachelor's Degree in Finance. Chris Halvorson is a current resident of Maple Grove, Minnesota. WM L&S is proudly serving the west Minneapolis suburbs including Plymouth, Maple Grove, Medina, Hamel, Corcoran & surrounding areas.